November 28th fire in the Smokies. Buckberry Lodge is very fortunate to have The Woods building to share with our guests until a new rebuild is complete. Below is some history about Buckberry – where it all started and what once was. For three generations the McLean family has owned this beautiful property which consisted of 90 pristine mountainside acres located next to The Great Smoky Mountains National Park. The uninterrupted views of Mount LeConte are breathtaking! Members of the family have enjoyed the sights, sounds and allure of the property for over 70 years and have always wanted to share the natural beauty of their mountain paradise with others. Over the years, they studied various ways to develop the property while keeping much of the land in its natural state, including the rushing waters of Buckberry Creek, which runs through the property. After having spent time in upstate New York and enjoying the classic “great” lodges in the Adirondacks, as well as the Smoky Mountains’ own Elkmont Community, it was decided to build a small group of buildings reminiscent of the rustic, yet elegant, “Great Camps of America”. Thus began a labor of love, transporting logs, other structural components and authentic Adirondack antiques from upstate New York. The McLean brothers along with Jeanie Johnson went to great lengths to improve the property, but not take away from its original beauty. 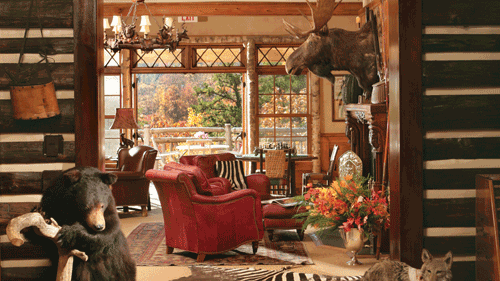 The Lodge at Buckberry Creek now sits on 26 of the original 90 acres. to the pristine beauty of the Smoky Mountains of East Tennessee. Designed to reflect the retreats created in the Adirondack Mountains over 100 years ago by some of the East Coast’s wealthiest families, Buckberry Lodge pampered guests with the true natural grandeur of the Adirondack architectural style. The Adirondack style that gave birth to the “Great Camps”, involves utilizing natural building materials, such as roughhewed logs and native stones, to create structures that exist in harmony with the surrounding natural environment. In addition, unique and authentic Adirondack-style antiques and design elements graced every suite to surround guests in true rustic elegance. 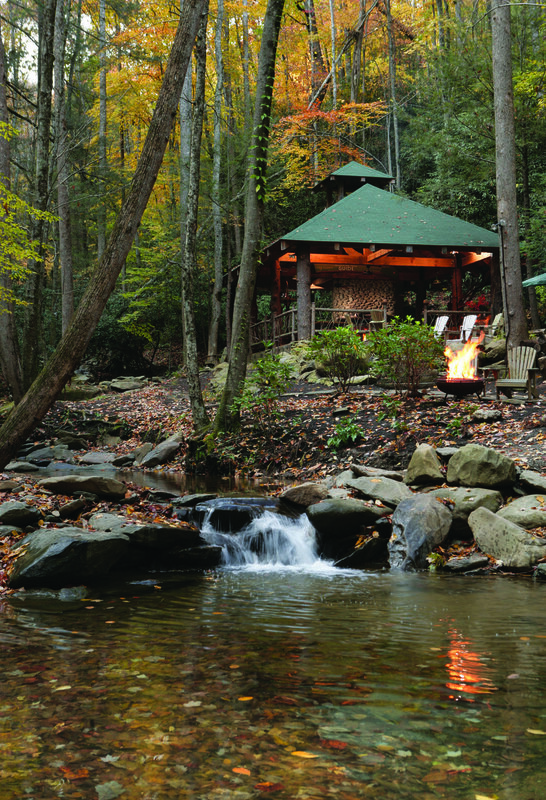 The Lodge at Buckberry Creek was also built with great respect to complementing and preserving the natural beauty of the surroundings, which include views of Mount LeConte and Buckberry Creek. Interior layouts and decor were developed under the direction of noted designer Jeanie Johnson of Housebones. Buckberry features a host of materials, antique furniture and artifacts gathered from numerous trips to upstate New York, many imported antiques and other items found in North Carolina and Tennessee. New furniture and adornments were commissioned from a variety of respected artists and furniture makers, including Gary Hurd of Blue Mountain Lake, New York and Old Hickory of Shelbyville, Indiana; Old Hickory, in fact, has produced a line of Buckberry furniture designed by Mrs. Johnson. 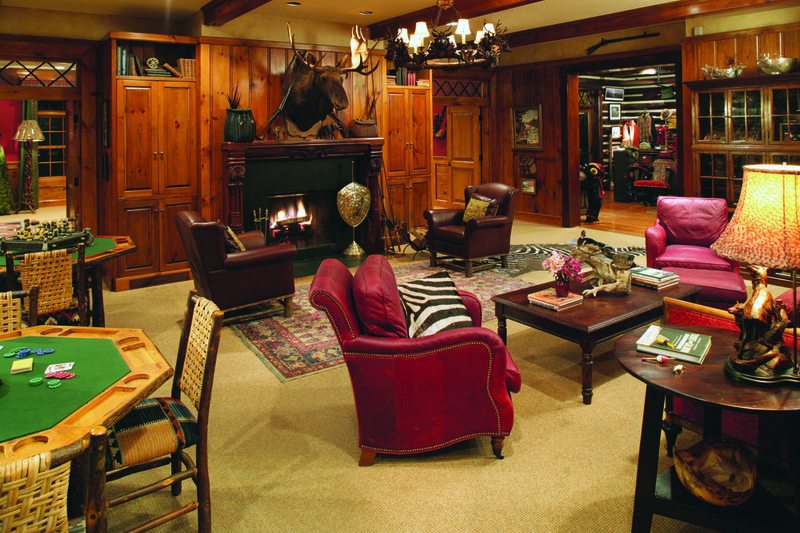 Signature architectural design features include unique fireplaces and gables, plus the Lodge’s dramatic front door treatment, which was considered the crown jewel of Buckberry. The Main Lodge decor was especially notable for a large collection of Scottish memorabilia dating back to the early 1800s, which had been gathered by the McLean family over many generations. Displays included traditional clan dress and military items, keepsakes reflecting the McLean family lineage, plus a Boardroom featuring a heavily carved, Jacobean-style dining set including table, chairs and sideboard – a McLean heirloom going back three generations. 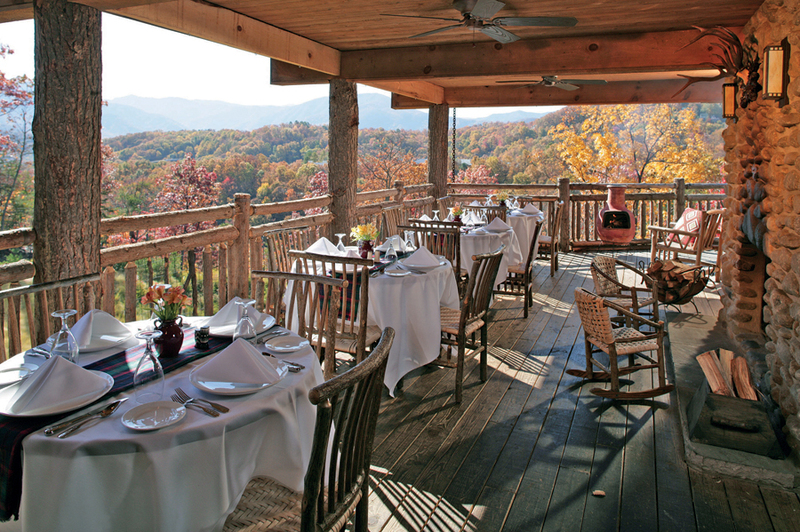 Buckberry consisted of 42 Suites, a Fine-Dining Restaurant, Bar/Lounge, Gift Shop, Creekside Pavilion, Conference Center, Hiking Trails, Work-Out Facility, and multiple areas that overlooked the Mountains. 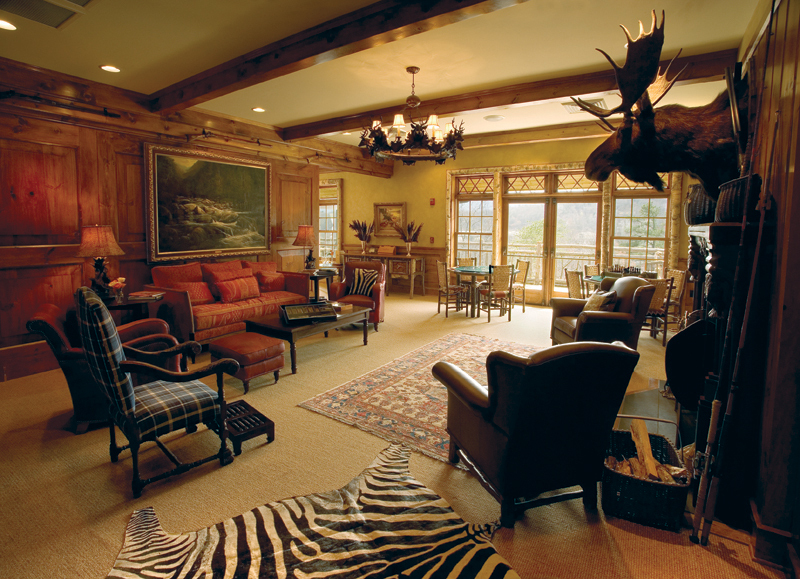 Nestled away high above Gatlinburg, Tennessee, Buckberry Lodge offered luxurious suites from 600 square feet to 950 square feet. Suites featured fireplaces, private balconies, baths with separate showers and soaking tubs. Each suite had been decorated with handpicked Adirondack-style antiques to add to the rustic charm of the surroundings. All suites featured kitchenettes with full-size appliances, Blu-Ray DVD players, luxurious linens, and additional upscale amenities. Fourteen suites at present still enjoy these distinctions – and one must remember that the beauty of the mountains is still visible from the balconies. 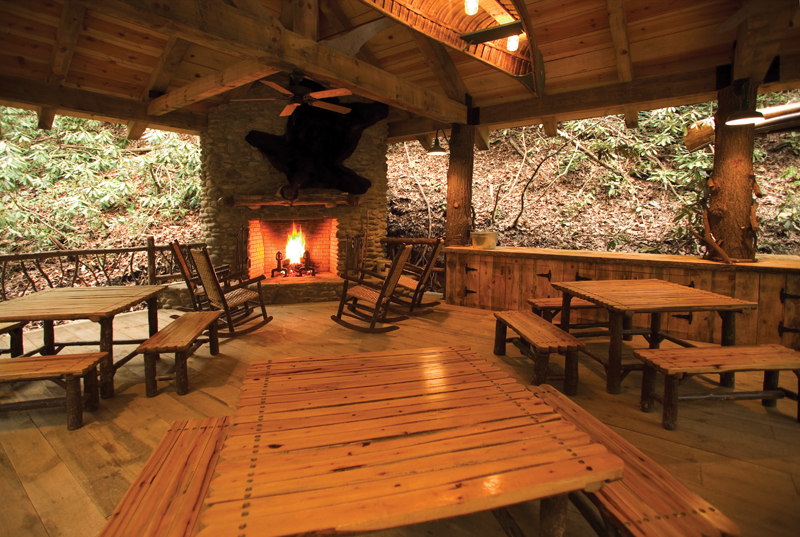 Guests could rest, recharge, and relax within the natural grandeur of the lodge or enjoy the hiking trails which lead to an Appalachian lean-to and the Creekside Pavilion. Buckberry offered a catch-and-release trout-fishing program along with hosting Orvis’ Fly Fishing class. Buckberry accommodated corporate meetings and medium-sized gatherings of groups, couples, families, and individuals who like to be close to nature, and those who like to indulge in the finer things in life. 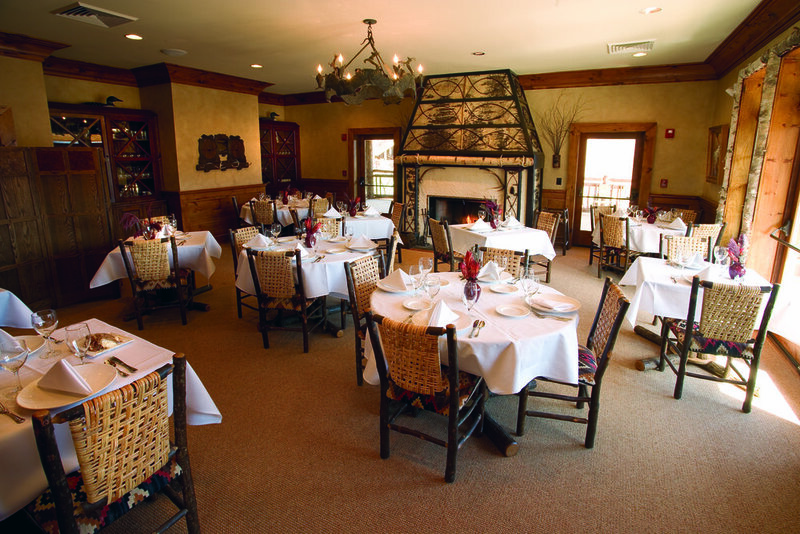 The rustic elegance of The Lodge at Buckberry Creek lends itself extremely well to corporate meetings & retreats, weddings, anniversaries, and family reunions. Many memorable functions were held on the Reserve Lawn, or at the Creekside Pavilion, Sundowners Perch, Angler’s Perch, McLean Boardroom, Grand Room or Dining Decks. 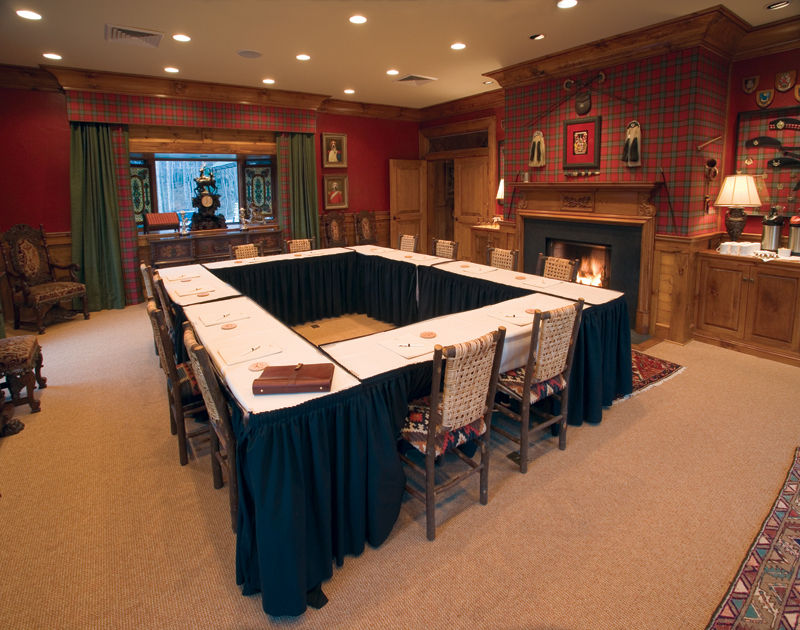 Buckberry offered several unique meeting spaces; with Wi-Fi and AV capabilities. As owners of The Lodge at Buckberry Creek our greatest rewards were from our guests and friends who came back year after year and season after season. People came as guests but usually left as friends. After the fire that destroyed 6 out of the 7 structures we had many cards, letters, calls, emails and even personal visits from our many “friend” guests. Even now we are taking reservations for the suites in The Woods building from many of our past guests. People are still coming back for anniversaries, birthday’s and just to stay and look at our beautiful mountains. All the guests that here fulfilled a dream that our grandfather had over 60 years ago – to build a hotel that would offer views of the Smokies and provide outstanding hospitality – so thank you! And for those that have not come to experience Buckberry Lodge, come visit us soon! Below are some pictures of what was lost but also what will be once again… Thank you for your support and we look forward to welcoming you! the Great Smoky Mountains National Park was established. Its breathtaking scenery and wildlife inspired the McLean family of Knoxville to purchase several hundred acres adjacent to the park's mountainous land. The intent was to build a family home to serve as a summer retreat, but this special sanctuary has evolved into something much more. We look forward to welcoming you and having you embrace the lodge and enjoy the things that our family has held so dear for generations. It is our hope that you will arrive as guests and depart as part of our extended family. Feeling the same way we do about our hideaway - perfection has an address. A McLean Family Picnic along the banks of Buckberry Creek, 1930. Victor H. McLean Sr. (second from right) and Victor H. McLean Jr. (indirectly in front - second from right), grandfather and father of Buddy and James McLean. Three generations ago, the McLean family of East Tennessee purchased 90 pristine mountainside acres located next to the Smoky Mountains National Park with an uninterrupted view of Mount LeConte. Members of the family have enjoyed the sights, sounds, and allure of the property for over 60 years, but have always desired to share the natural beauty of their mountain paradise with others.